If you’re a fan of beauty DIYs, you’re probably familiar with most of the beautifying ingredients hanging out in your kitchen—but did you know that the humble beet is one of them? Beets have very powerful beautifying properties; they’re chock-full of antioxidants and anti-inflammatory properties, which makes them amazing for everything from acne to anti-aging. 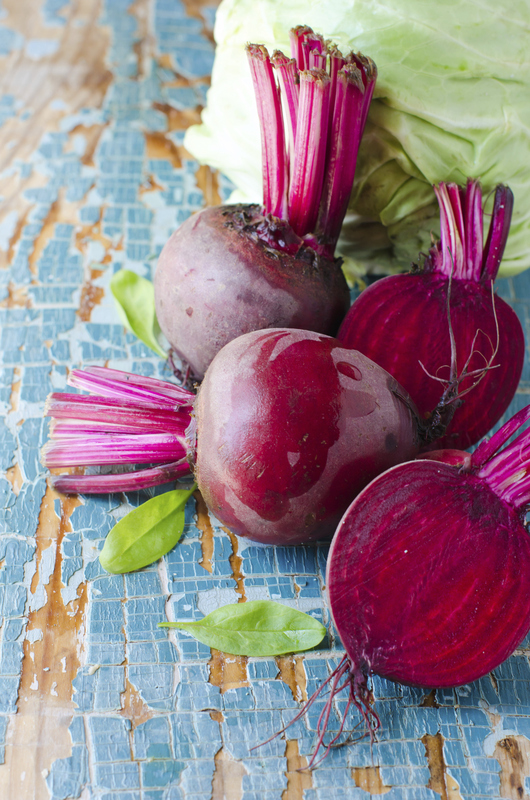 Here are all the surprising ways that you can use beets in your beauty routine. As a lip and cheek tint. This is an easy, fun DIY project that creates the prettiest, longest lasting pink flush for your lips and cheeks. Grab one or two beets and puree them using a juicer or food processor. Mix the beet juice with a heavy oil (like coconut), add a squeeze of lemon to help preserve the color and freshness, then transfer the mixture into a small container. Dab it onto your lips and cheeks for a natural cool-pink flush that will last for hours! As a natural hair dye. Red hair is a huge trend for fall, but it can be really intimidating to embrace permanent dye all at once. But if you do it right, beet juice can be used to give a lovely reddish tint to your hair—no chemicals, no damage, no problems. Simply mix about half a cup of beetroot powder (you can buy this at health food stores) with a cup of boiling water, then apply to your hair once it’s cooled to room temperature. Add more beetroot powder for more intense color, keeping in mind that you’ll get stronger results on lighter hair. Leave it on for a few hours—we’re talking between three and four—and be aware that shampooing afterwards will make it fade faster. As a healing scalp mask. Even if you don’t want to dye your hair, beets are great for your scalp because they can help with issues such as dryness and dandruff. The carotenoids in beets can even help with hair growth and thickness. Simply massage pure beet juice onto your scalp for about thirty minutes (perhaps while watching your favorite TV show), then rinse it out. Try this once or twice a week to see improvements in your scalp and hair. Beet juice is also high in antioxidants. By using it on your face, it can help with issues such as acne and fine lines. You can have a lot of fun making different beet-centered face masks by mixing the beet juice or powder with other beneficial ingredients such as coconut oil, honey, or oatmeal. Just be careful not to go overboard, or else the beet’s staining properties might take your skin from a subtle pink glow to actual beet-red. And if you want to truly get all of the skin benefits that beets have to offer, consider drinking it as well! It will make you look and feel great from the inside out.